300 posts later, but I feel neither older, nor wiser in the ways of blogging – maybe more experienced in using wordpress so I no longer accidentally delete my posts.. but really nothing more! It is ironic that after writing thousands of words, I am left with no words at all. Sorry for such a short post, but truly today, I feel like my not-so-extensive vocabulary has deserted me, even without the shock of realising this is my 300th post. I hope you enjoy this recipe, just like my mum adored it! I also hope I will have more to write for my 301st post! Congratulations on 300th post! It’s a big milestone to celebrate. For each post, you put a lot of time and effort and it’s worth celebrating this occasion! Your mini bundt cakes look so good. Citrus is my new chocolate. I am addicted! CCU, I expect to someday read your thousandth blog post! Even though I don’t always comment, I’m always here, reading, enjoying and cheering you on. Love the mini cakes you made your mum. Congrats and I am trying to catch up on my reading (and commenting) today! Woohoo! Time flies when you’re having fun! Nice job hitting a fabulous milestone. Bundt cakes are so cute and bet taste fantastic!! Congrats on 300! 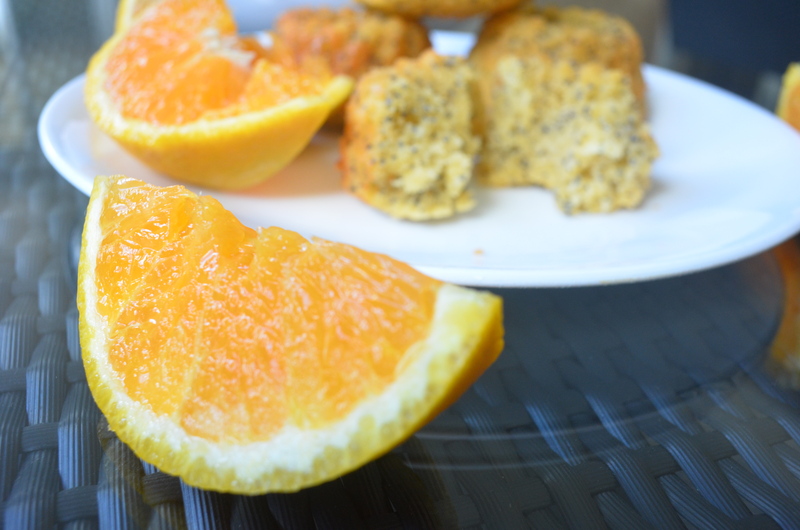 Your mini bundt cakes look so delicious…coconut and citrus…yum! Congratulations on 300 posts…that is truly a nice accomplishment. If your mother adored these little muffins then I know that they must be delicious. The cake looks delicious, and Congratulations!! Great job! Uru, 300 posts is a BIG achievement considering you’ve been in the throes of getting through school, starting university, and keeping us enthralled post after post with your delectable creations. (When DO you have time to do it all?!) You’re amazing! (So is this yummy citrusy recipe.) Congrats, kiddo! Well done you on your 300th post. Love the sound of these lemon and poppyseed cakes. 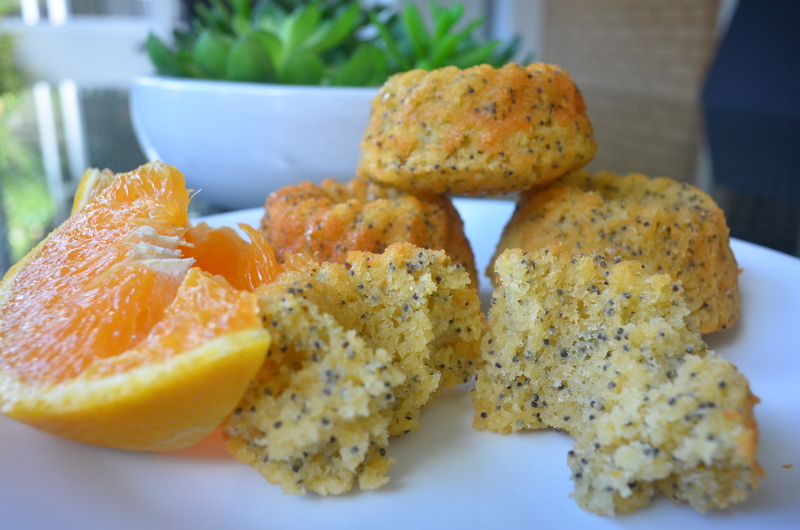 i’m so glad you used orange–it seems like poppy seeds ALWAYS get paired with lemon! Happy 300, Uru!!! and perfect way to celebrate! Congratulations on your three-hundreth post! That is quite the accomplishment and if all were to be put on paper, it would make quite the book! The little poppy seed cakes look delicious! Congratulations Uru 🙂 Your journey has been delicious. A BIG WOW! CONGRATULATIONS!!!! And the mini cakes look so cute and sound lovely. Poppy seeds (black ones) are not available in India but I recently bought a pack back from a holiday abroad and I am definitely going to try these. 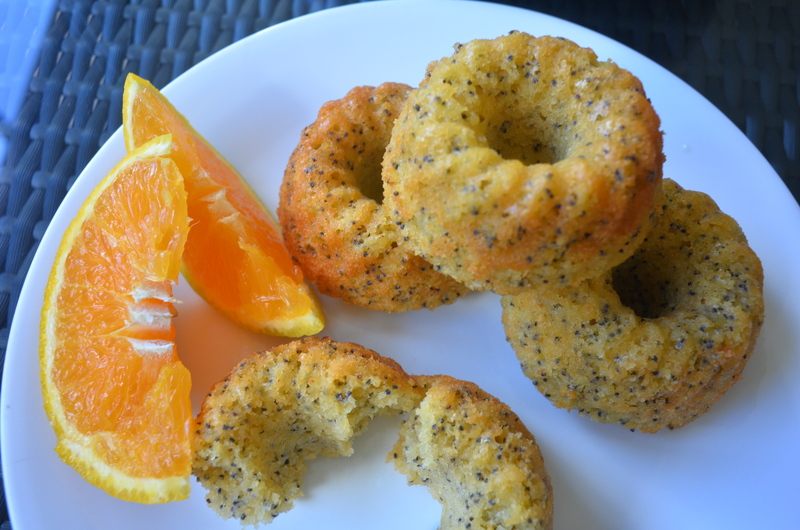 orange and poppy seed are a match made in heaven! Congratulations on your 300th post! That is a great accomplishment! One to be proud of. Your cakes look yummy! I didn’t know other countries celebrated Mother’s day. 300 Posts is a great accomplishment and you have every right to be proud! These cakes do look amazing – so moist with kind of caramelized exteriors – yummy! How delicious! Anything infused with citrus is great for spring and summer. what an amazing achievement gurl! Haha virtually high giving you right back! Congrats on 300 posts. These little bundts look gorgeous, and the flavours sound wonderful. Congratulations, Uru. That’s quite a feat, considering you were always so busy with school. Love the mini bundt cakes…so cute. I looked with interest at your pan. I will have to look for one. Congrats on 300 posts! And how delicious do these mini bundts look?! YUM! Uru, you are such a special person, and each of us who come to see what delicious recipes you’re offering are just as interested in your stories of family, friends and life. Congratulations on your 300th post, and all your blogging successes. And these little cakelets really appeal to me. I have some little decorative forms like you show here, and I have never used them. I am going to make this recipe and I will think of you, my friend. Always a great fan of your very chocolaty food porns and precise reviews! Enjoy your lemony cakes and 300th post celebration! 300 posts leave me quite speechless, too! Doing 300 anythings is quite a feat! Good for you and I hope you had one of these cute little bundts to celebrate! YOU MADE THIS FOR ME!!!! 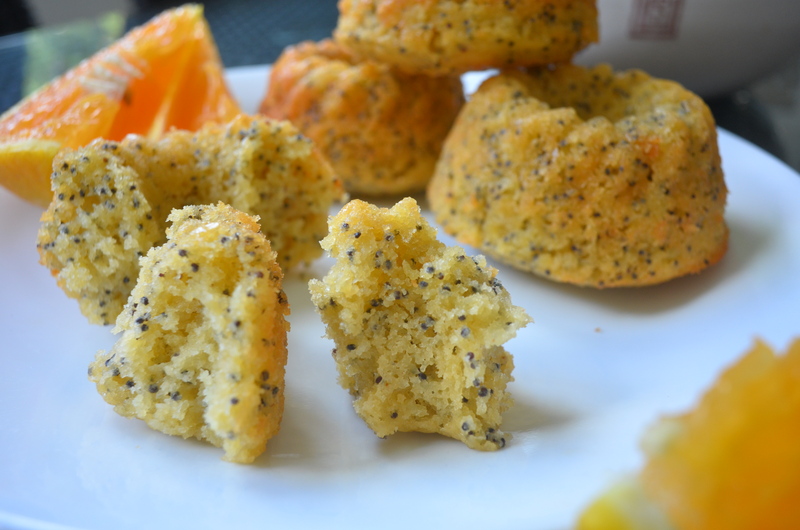 Lemon Poppyseed is my FAVORITE! FAVORITE! 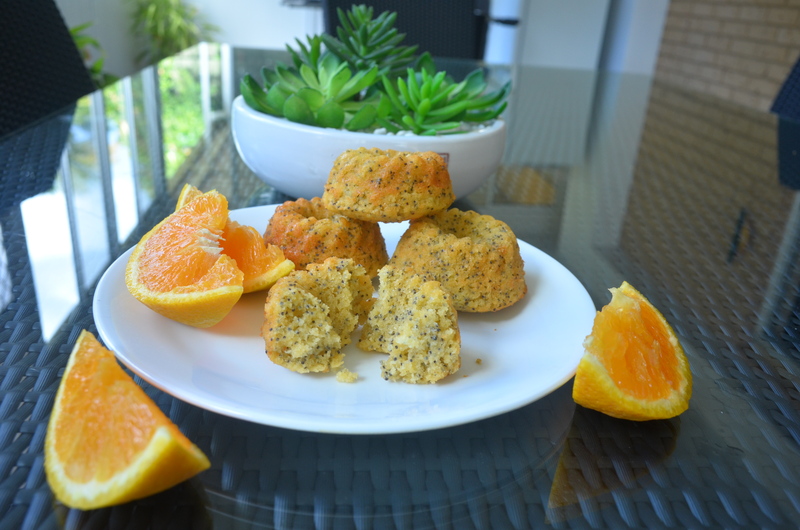 And I am trying to make a recipe with coconut flour and stevia…. Trying, wait no… I have been THINKING ABOUT IT for quite some time. TRYING would actually mean that I have been in the kitchen mixing things up. LOL! Not quite yet, but SOON! SOON I TELL YOU! These little bundt cakes look so moist and delicious! Citrus and coconut combine so well! But I like it! Thank you! 300 Posts, congratulations!!!!! Looking forward to 300 more. Love your Mini Bundt Cakes, they are so cute. Those tiny cakes look so delicious! Congratulations on reaching such a great milestone! These delicious cakes are perfect for the occasion. Wow loving these bundt cakes, especially the gorgeous little ones! Wow, 300 posts is a big deal! Now you’ve got me wondering how many I’ve done. I’ve been blogging longer but I bet I don’t have 300 yet! You go girl! The cakes sound amazing, too. Congrats! What a perfect way to celebrate mother’s day and your 300th post! The mini bundt cakes looks super delicious., can’t resist coconut stuff! A picture is worth a thousand words you know 😉 Congrats on your 300th post! I love mini cakes, and these look great! Especially with the coconut and all that orange juice! I LOVE this recipe. You had me at the photo but when I saw it also included coconut – well that did it. I will definitely be making these. YUM, YUM, YUM!!! Congratulations, what an awesome accomplishment! I’d take a dozen of these delicious little cakes to celebrate! Love the lemony flavor. Congratulations, 300 is a wonderful benchmark! And these little cakes look like the perfect thing to celebrate with. Congrats on your 300th post! These little cakes look terrific with the combo of citrus and coconut! Woohoo! 300 posts! That’s a lot of words :-)! 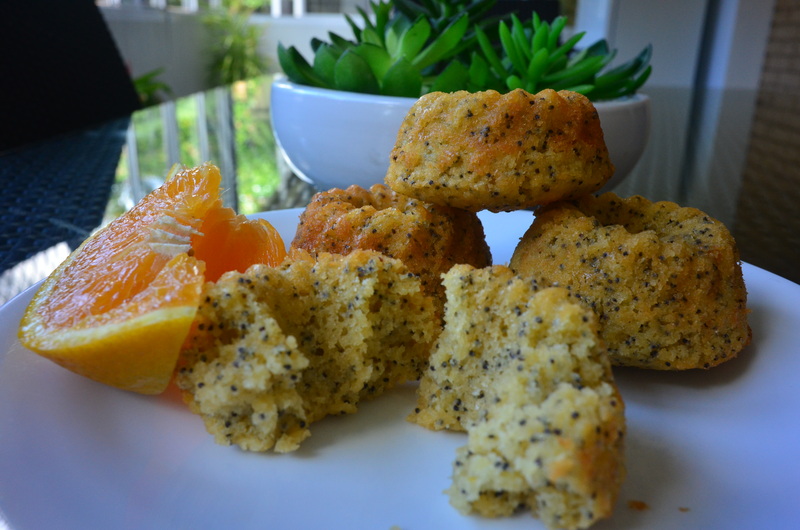 That cake looks so good, I love the citrus and poppy seeds. Also, a big congrats on the 300th post. You have inspired and entertained and hope you continue for another 300. Congrats on reaching 300!!! 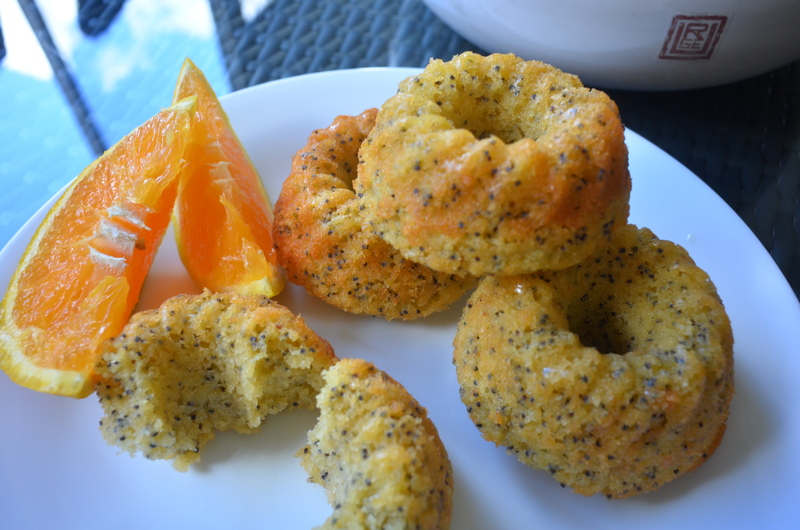 I adore mini bundts and you did an amazing job with the flavors of these citrus poppy-seed gems.! You don’t need many words to describe these awesome cakes. Love the addition of poppy seeds inside. Congrats on hitting the 300th mark and I waiting for more to roll in. AHH YAY 300 posts!! So exciting, perfect way to celebrate. CAKE CAKE CAKE! Congratulations on such a huge posting milestone! 300 is a serious number- certainly no small peanuts. These luscious, impossibly moist little bundts look like a perfectly sweet way to celebrate. Happy blog anniversary! And those cakes look most wonderful. I am sure you will reach it very soon! Your mini bundts are so adorable. I’d love to try them. And congratulations on hitting 300! Perfect way to celebrate – with a beautiful, moist bundt! Those mini bundt cakes look absolutely lovely! Well done on number 300. I LOVE those little cakes. What a special treat for mother’s day. I’m sure the words will come eventually! 😛 Congrats chcia! These litlte bundts are so fun! Congrats for your great milestone! I hope you`ll have the inspiration to reach up to much much more! And the mini bundt cakes are lovely! I definitely will Cris, thanks so much! First of all, a big bravo and congratulations on your 300th post! I just love the smell of freshly baked cake. And I think I can take my time sniffing the lovely aroma of your cake just by looking at the photos. Thanks for sharing! Hugest congrats on your big 3-0-0!!! It’s a sizeable milestone and I have no doubt you’ll be reaching the big 1000 soon. Cake looks delicious, as we near winter I’m definitely going to be baking more too! Congrats on 300 posts! That’s a milestone. And with such a nice recipe, no need to say too much. Let the pictures — and the recipe itself — do the talking! Congratulations on hitting 300 posts. The mini bundt cakes look lovely. I wish I had tins like yours but I’d have to use muffin tins if I were going to make this … not as pretty but just as tasty. Congratulations on hitting 300 posts. The mini bundt cakes look lovely.